The Swarovski Crystal Worlds (Kristallwelten) museum is open every day from 9 am to 6:30 pm; the ticket office closes at 5:30 pm. A ticket for an adult costs €19, there are discounts for groups and children. Parking at the museum is free. Getting there by public transportation: The museum visit can be combined with a trip to Innsbruck. Rapid EC trains from Munich to Innsbruck run every two hours, 1 hour 45 minutes one way. One can also take cheaper regional trains, but that would involve transfers and a longer (~2.5 hours each way) journey. There are regular busses to the museum from the Innsbruck train station and from the Hofburg Palace. For lunch we went to the Daniels Cafe-Restaurant. For quick refreshments there is a snack bar serving coffee and sandwiches at the exit of the museum. The popularity of Swarovski crystal creations is now so great that it is difficult to imagine the jewelry art without this brand. Swarovski company stores can be found in almost every major city in the world. However, perhaps not everyone knows that the birthplace of this crystal empire is a small Tyrolean town of Wattens near Innsbruck. Today, on the site of the first factory for cutting crystals there is a technology park “Swarovski Crystal Worlds”, the heart of which is the famous crystal museum. We left Munich at 9 am, the traffic on the A8 autobahn was already not as heavy as during the earlier rush hour, and soon we enjoyed the scenery of Alpine peaks in Austrian Tyrol. 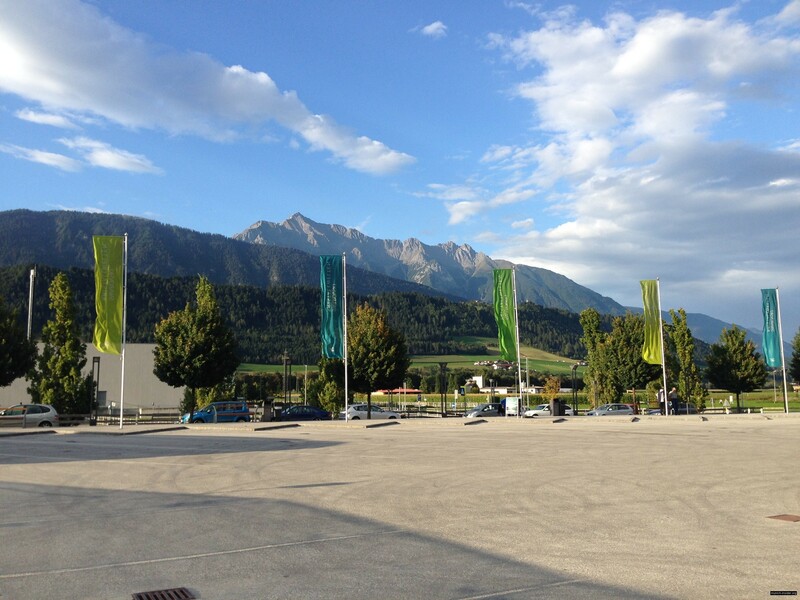 The town of Wattens is on the way to Innsbruck on the A12 autobahn; it is 10-15 kilometers from the Tyrolean capital. In principle, one can combine a visit to the museum with a tour of Innsbruck with its many attractions. However, we have already been to Innsbruck, so we decided to spend a few hours in Wattens and to dive into a truly unique world of Swarovski crystals. In order to understand why this unusual museum is located in this small Austrian town, one needs a little bit of history. The Swarovski brand is known for more than 100 years, from the time when an amateur engineer, Daniel Swarovski opened a factory for the production of crystal ornaments in Wattens. Swarovski was born in Bohemia, home of the famous Bohemian crystal glass. This region is now in the Czech Republic, but at that time it was part of the Austrian Empire. While Bohemian artisans were famous for the production of tableware and home decor, such as vases and chandeliers, Swarovski came with a new original idea to use crystal glass for jewelry. Together with his sons he invented a unique composition of crystal glass, clear as tears and with outstanding refractive properties. This proprietary composition is a tightly guarded secret up to the present day. Swarovski developed a special machine to cut and polish crystal glass, and then, at the end of the 19th century founded a crystal manufacture factory in Wattens. Since then, jewelry with Swarovski crystals has become famous and is now in demand across the globe. The Swarovski Crystal Worlds (Kristallwelten) museum was opened in 1995, for the 100th anniversary of the company founding in Wattens. Its popularity has been growing year after year, and at the present time 700 thousand people visit the museum each year. The museum is located in an underground cave, nestled among picturesque Alpine meadows. 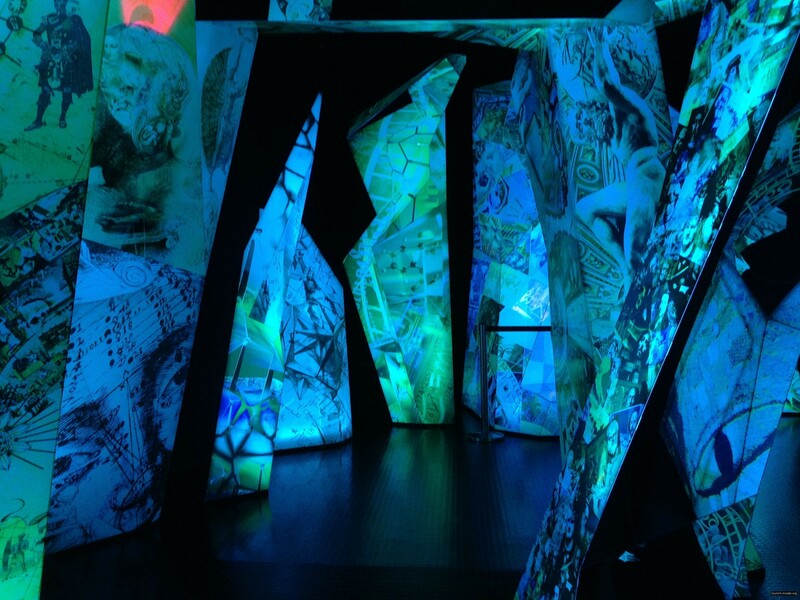 Many well-known artists and designers contributed to the museum construction and development, and they managed to create a completely unique and sometimes surreal underground world of crystals. The ingenious entrance to the museum immediately caught our sight. 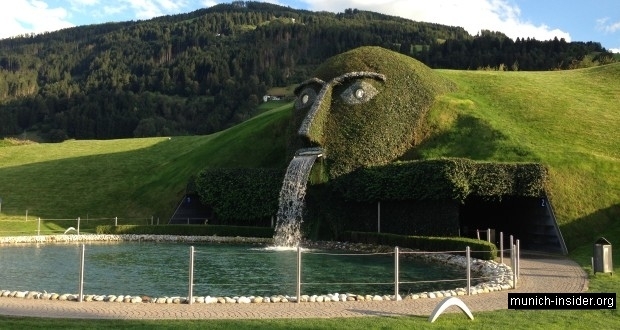 It is under a grassy hill in the form of a giant head with glowing crystal eyes and a waterfall cascading from the mouth. Semidarkness reigns in all museum halls reinforcing the impression of the crystals glowing in the backlight. In the very first hall we admired the largest faceted glass crystal in the world, it weighs more than 300 000 carats. Each of its several hundred faces glows in its own way in the soft lighting. By contrast, we examined under a microscope the smallest, precisely cut crystal, only 0.8 mm (0.03”) in diameter. We were wandering through the museum halls like in the magnificent underground labyrinth. In some halls we felt as if inside a giant crystal, where light refracted in countless facets and created a sense of multidimensionality of the surrounding space. In another hall we walked through an unusual forest, where crystal trees were hanging from the ceiling and as if were hovering in the air. Then we got into a theater with mechanical dolls and other objects; the entire show was in shimmering light reflected and refracted by numerous crystals. Everything – clear crystals, holographic images, light extravaganza, precision mechanics and soft accompanying music created the impression of a beautiful and magical world. We got quite a strong and unusual impression of what we saw, which is very difficult to describe with words. It is just as impossible to convey this in a photograph or even video. Of course, as in every museum, there is a souvenir shop. Swarovski crystal creations are outstanding souvenirs and the majority of visitors are happy to shop here. We also did not deny ourselves the pleasure to buy a couple of trinkets. The selection of jewelry, ornaments and figurines is huge, it is one of the largest Swarovski stores in the world. The Swarowski Crystal Museum in Wattens has been constantly expanding and updating. The biggest reconstruction was undertaken for its 20th anniversary. Many new installations were created, the main among them is the Crystal Cloud, which includes 800 000 hand-cut crystals. To the south of the head of the giant, an innovative open-air landscaping was laid with a play tower, which will be interesting for children of all ages. A bright pavilion is added to the restaurant; it is located in the garden offering wonderful views of the surrounding Alpine scenery. Visited the place last month with family and friends . Hugely liked it .